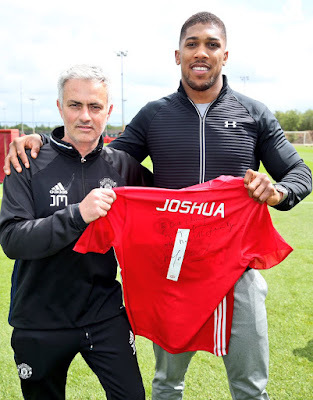 Manchester United players trained with heavyweight champion Anthony Joshua ahead of Sunday’s Premier League trip to face Tottenham at White Hart Lane. The 27-year-old took part in drills with the first-team squad, sharing his experience on Instagram Live before posting pictures. 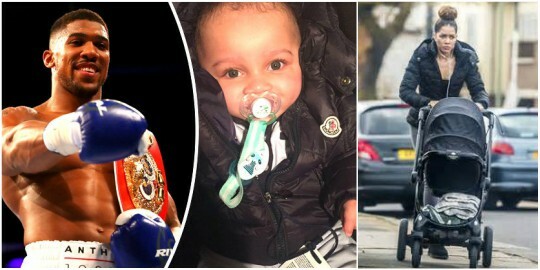 The likes of captain Wayne Rooney and England internationals Phil Jones and Jesse Lingard were on show, which showed Joshua in the middle of a rondo passing drill. The IBF and WBA champion, two weeks on from his memorable win over Wladimir Klitschko, also posed for pictures with members of the first-team squad.